Photos: On shaded Willow. The Gearagh, Co. Cork, SW Ireland. 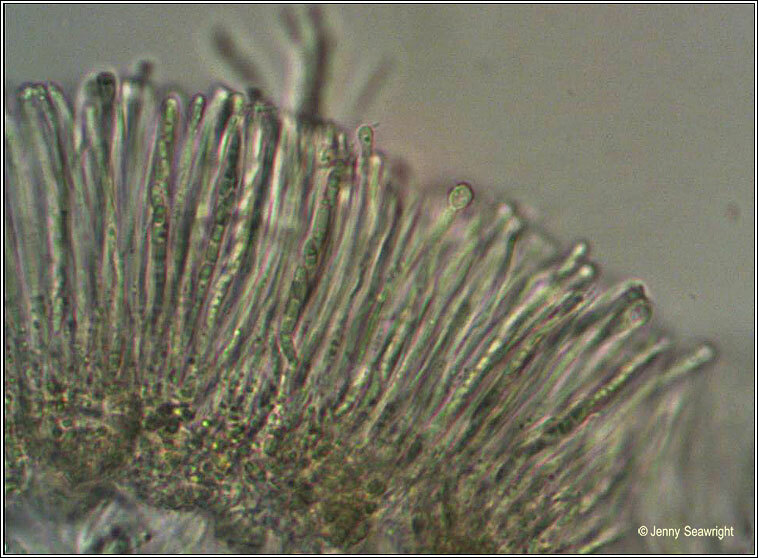 Thallus thin or evanescent, light greenish-grey. 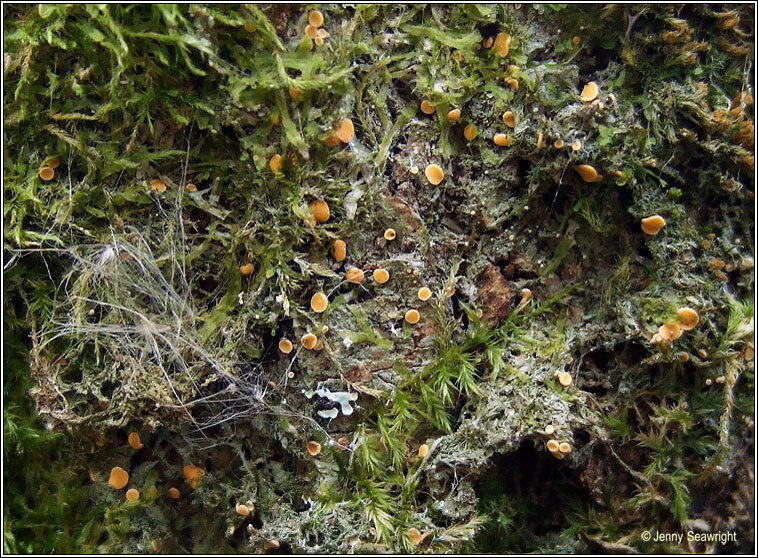 Apothecia yellow-orange with paler margins, can appear +/- translucent in very wet conditions, possibly seasonal. Pycnidia are occasional, pale yellow. 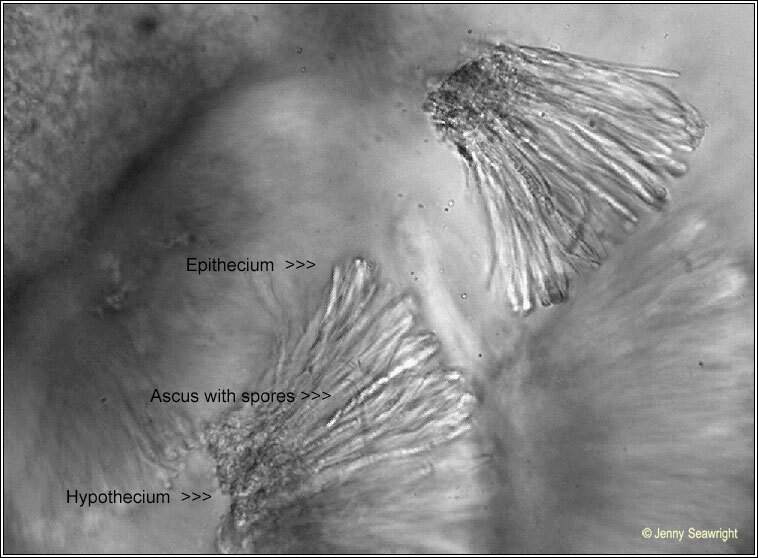 Ascus 8-spored. 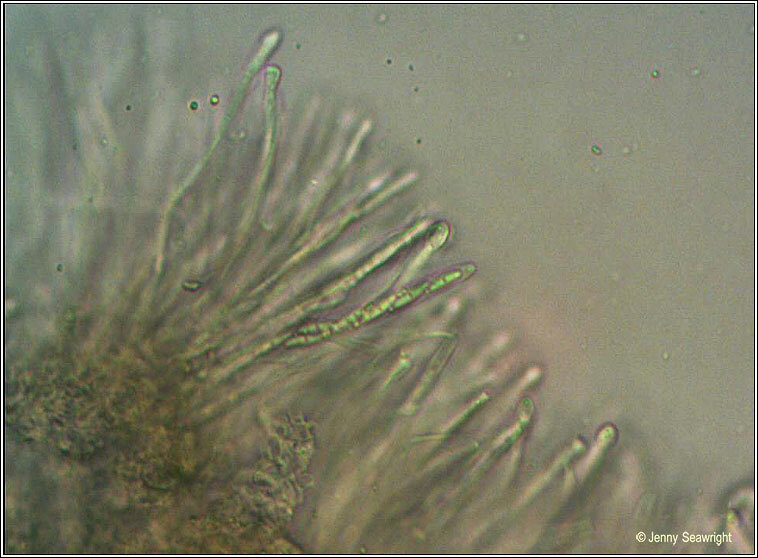 Spores colourless, 1-septate, 8-11 x 2.5-3.5 µm. Microscope photographs below. 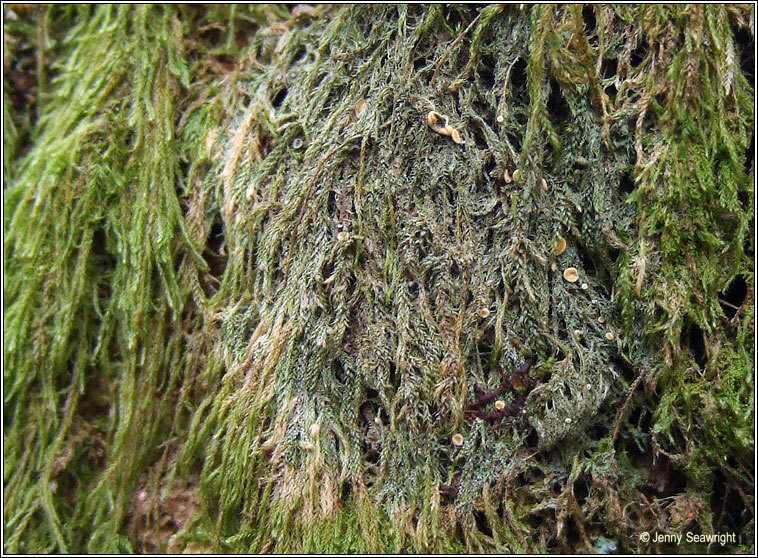 Occurs on moss and bark on deciduous trees in shady, damp old woodland. 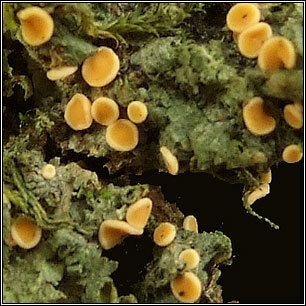 Similar: Dimerella pineti has smaller pinkish-white apothecia. 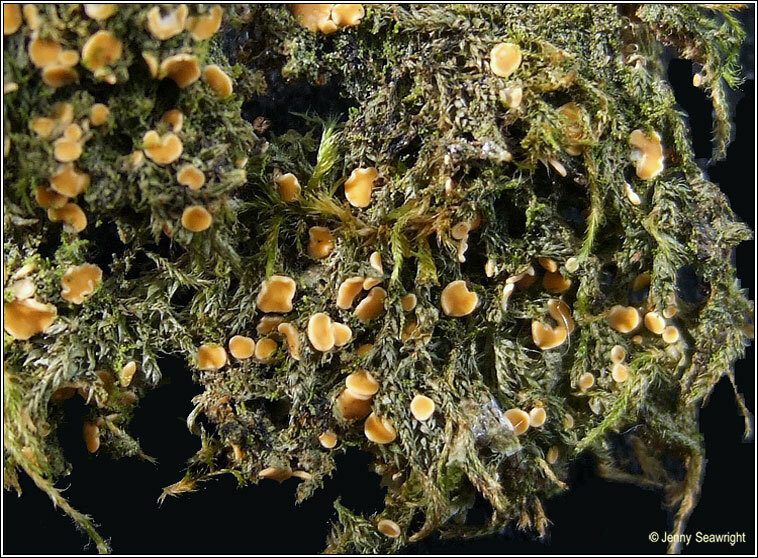 Caloplaca species are K+ red.